Matlock were quick to snap up Marcus after Alfreton Town released him at the end of last season. Her began his career with Blackburn Rovers and has further Football League experience with Rotherham United, Bury and Morecambe. Spells on loan at then non league clubs Grimsby Town and, Lincoln City followed, before he joined Boston United, also having a loan spell at Coalville. 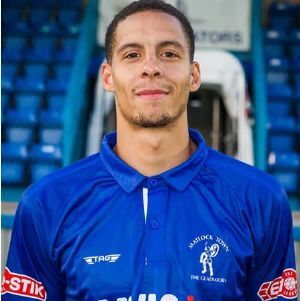 He joined Alfreton in 2017 making eight appearances, also going out on loan to Hyde United scoring twice in four games. A tall attacking midfielder who can also play in a more advanced role.